Sale price $2.00 pound u-pick. Open Saturday and Sunday, 9/1 and 9/2, only. Last weekend. Stock up for winter! $2.00 a pound, u-pick sale price. Open Saturday and Sunday only, 9 am to 6 pm. Last weekend. With the cooler weather, we decided to open on the weekend, September 1 and 2, to give the berries more time to ripen. We expect that our late season varieties--Dixi, Eberhardt, and Stanley--will provide good picking. You should also be able to pick some sweet Rubels, Jerseys, and Olympias. Yes. 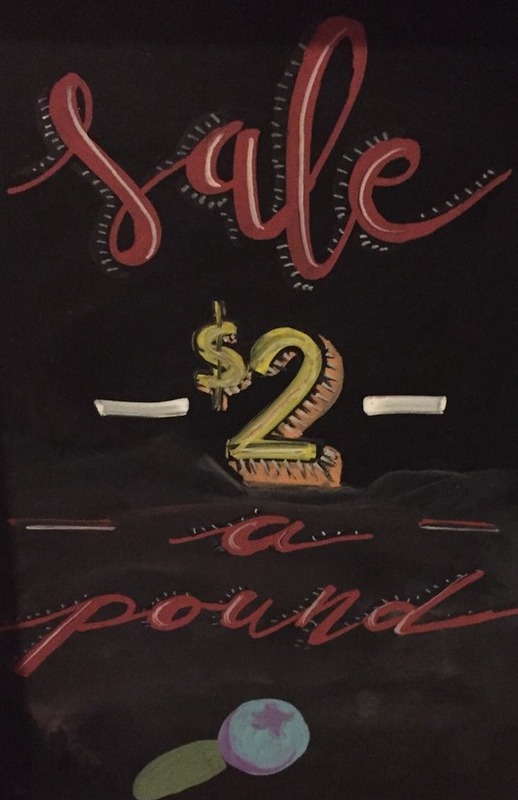 You read the price correctly! 2.00 per pound u-pick blueberries. Hard to beat the price. Our sunflowers are at their peak, so consider picking a bouquet of 6 flowers for $2.50, or 12 flowers for $5.00. We look forward to seeing you before we close for the season.